Once upon a Time in Mexico... A bloody good time (@ WorldsGreatestCritic.com)! and a worthy continuation to the Desperado Mythos! Disclaimer: There will be no Once upon a Time in Mexico spoilers here, but I intend to speak of plot points of the previous entries into this series, El Mariachi and Desperado, the events of which lead eventually into this sequel. 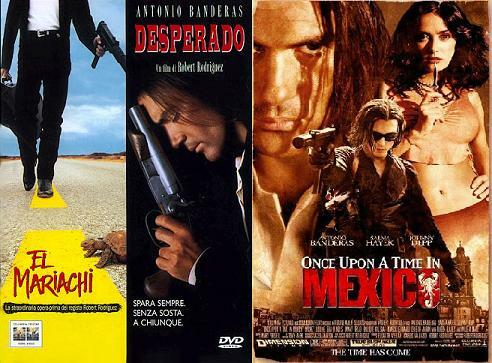 If you haven't seen El Mariachi or Desperado and wish to, don't read this! Don't say I didn't warn you! I have good news! El Mariachi is back, and he can play guitar again (he wears a leather thong over the scar), he has a new mariachi band, and he's more legendary than ever. The bad news is he has a brand new reason for revenge(!) he's more brooding than David "Angel" Boreanaz (on downers and dressed as Batman) and he's just been recruited by the American CIA to take part in a questionable activity. Once Upon a Time in Mexico is the story of El Mariachi's latest and possibly final adventure, and it's just packed to the brink with story and action beyond reason. My internal reviewer revised a number of times before I finally sat down to the keyboard. At one point Once upon a time in Mexico attains the lofty heights of a five star picture, only to crash down to a lower level and lose some stars along the way. Bottom line... it's different from, but equal to the original and the first sequel. This is truly a well thought out and complex film showing a maturity for director, writer Robert Rodriguez. Here he tries a multitude of new things and really balances the multiple facets well here. Perhaps the Spy Kids franchise was good for him beyond simply a paycheck. The irreverent attitude that he and his "brother" Quentin Tarantino et al. helped create is seen from the opening credits alone. When the opening credits state "Shot Chopped and Scored by Robert Rodriguez" you get an idea what you're in for. It's just great to see some of the old gang again, and it almost feels like a homecoming. The new additions add not only dimensions but also tension and quite a lot of laughs (primarily revolving around Depp who meshes perfectly with Sands). Los Lobos makes no appearance on the soundtrack, replaced not just by Rodriguez but also Antonio himself and even a song penned for Sands by Johnny Depp. The music is just amazing from stem to stern. It's a well-acted well shot and well scored action picture that never feels tired. Well there is one more possibility. There is a very real possibility that Rodriguez intends to spin Sands off into his own franchise. It might just be a brilliant idea, and Depp is wonderful as the character. I can see Sands going rogue and traveling around like his own psychotic version of Zatoichi. Affleck ain't got nothin' on this Daredevil! It might make that final act make more sense, but as it stands, it's just an excuse for more blood and guts without a plot to prop them up skeletally. It almost feels as if both this film and the previous entry are trying to make up for the comparative bloodlessness of the first film. The balance is tipped almost too far though as the improvement of the special effects make for more capability for graphic scenes of more red dye than a convention of Lucy Ball impersonators. The film is pretty cartoonish like a western send up throughout but the last twenty minutes seem like an experiment by Rodriguez to push the boundaries of good taste in the name of fun. And it's fun all right... but it could also be, well, better... like the first half was. I say that taken for all with all Once upon a Time in Mexico is equal to El Mariachi and Desperado at Three and one half stars out of five. 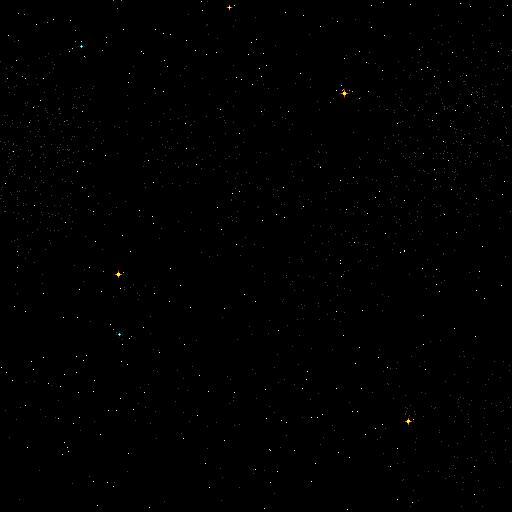 You might like it if you're a fan of the first two movies and would like to see where all this goes (while leaving the door open to sequels and spin-offs) and you can take the red mists... You might not like it if you can't stand the sight of blood... or you just don't get the Johnny Depp sarcasm. It's a good film, but it ends up being a disappointment because the second half can't equal the first. Visually stunning and filmically compelling are two vastly different bags. Now, if you'll excuse me, I want to practice shooting my booze bottles and playing my guitar. I figure if I show up outside Rodriguez' window with a guitar and a gun in black leather, he's bound to be so impressed he'll give me a part in the next film be it a Mariachi or a Sands film... Though usually I get arrested when I do that for some coincidental reason. Ho hum!